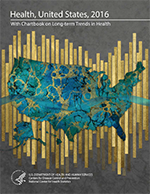 Current health information, including health behaviors and health care among people by race and ethnicity, gender, education, income level, and geographic location. From the Department of Public Health. Health information for patients, their families and friends from the National Library of Medicine. Patient care and health information from physicians, scientists and researchers. Combats diseases, helps mothers and children survive and thrive, and ensures the safety of the air people breathe, the food they eat, the water they drink – and the medicines and vaccines they need. Provides patients, family members and members of the public current information about clinical research studies. From the U.S. National Institutes of Health. Identify drugs using high resolution images of capsules and tablets from the National Library of Medicine. Comprehensive drug information from the National Library of Medicine. Professional information on U.S. doctors. Find and compare information about hospitals.